Since its inception, A.D.A.M. 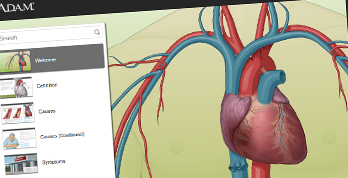 has provided the most credible & complete collection of health content & multimedia visual learning assets available. 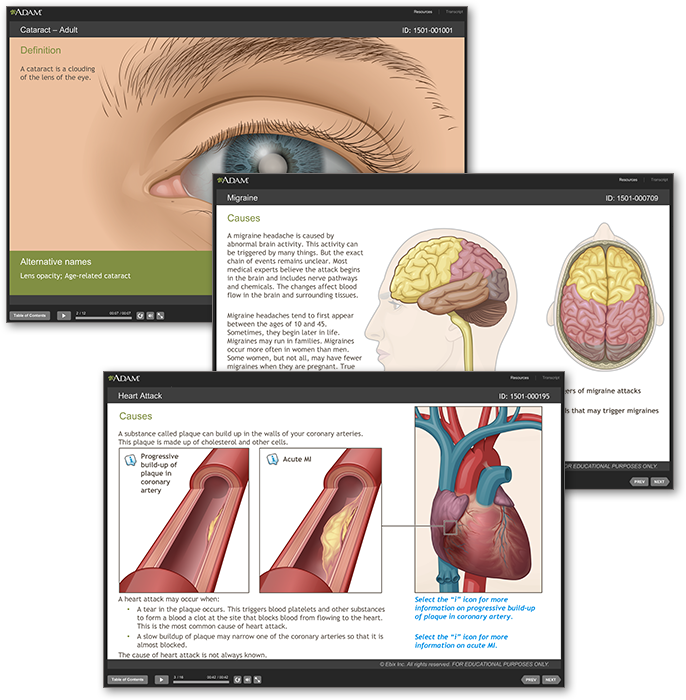 As a result, we have been able to leverage our text and visual assets into a unique catalog of interactive patient education tools. Introducing A.D.A.M. Health Capsules, a collection of detailed interactive tutorials covering causes, symptoms, diagnosis, prevention, therapy and prognosis of health conditions affecting all age groups, genders and ethnicities. This library provides the learning foundation for dozens of subjects including human anatomy, physiology, nutrition, poisoning, environmental concerns, pregnancy, human development, self-care, procedures, and much more!